The ancient Greeks – and also Aristotle – are famous for their ideal of perfection which for them was represented by harmony, order, equilibrium. And they sought these values everywhere and in everything, whether in art, or in political societies, or in the characters of human beings as such. 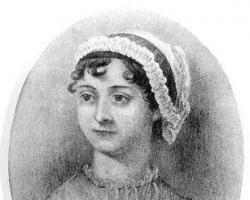 My motives for attempting to write a study on Jane Austen, and moreover, on Jane Austen as seen from an Aristotelian perspective, will most probably seem odd at a first glance, as I am going to begin with a description of the modern society’s philosophy, which is best comprised in the word relative.